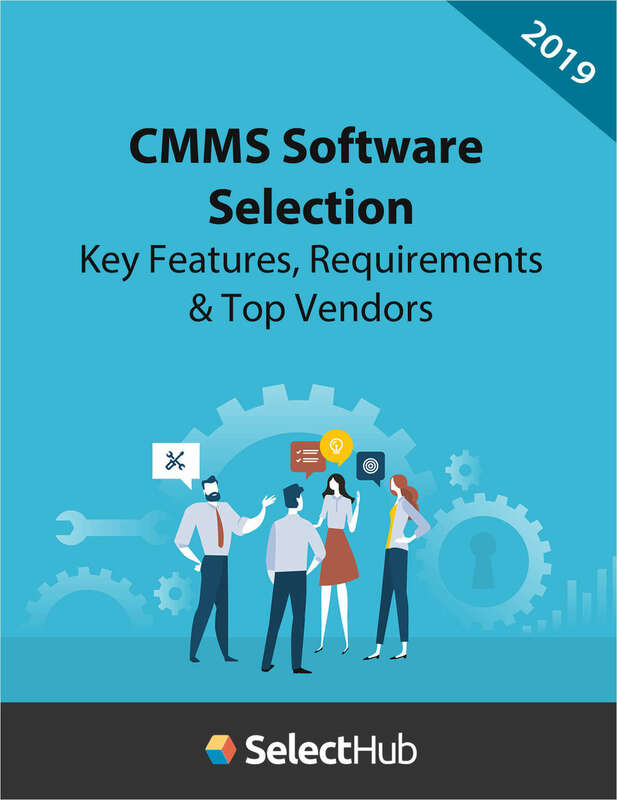 "Top CMMS Features & Vendor Comparison Guide"
Free Guide: "Top CMMS Features & Vendor Comparison Guide"
Find out what CMMS features are most important--and which products do it best. This guide reveals results from an in-depth survey of CMMS buyers, along with detailed feature analysis and software ratings to help you find the best computerized maintenance management system (CMMS) for your company. Complete and verifiable information is required in order to receive this offer. • Geographic Eligibility: USA. • SelectHub determines qualification and reserves the right to limit the number of free offers.